In our opinion, Lovoo is one of the few platforms that deserve five out of five stars. First, it’s modern, fun, and easy to use. Next, one does not need a paid membership to enjoy all the essential features — most of the time, just being active on the platform gives you a shot to interact with other users, without spending a single penny. Plus, earning credits comes in the form of a game, which makes the process not only rewarding but also fun. Launched in 2011, Lovoo is now one of the busiest international dating sites, with over 70 million users worldwide — and this number keeps growing daily. In 2017, the network was purchased by The Meet Group, Inc. for $70 million, and saw further investment. As a result, Lovoo users can now enjoy a brand new product — “Lovoo Live Video.” Essentially, those are live video streams from Lovoo users, and any member is welcome to participate — for free. More than that, the feature actually offers users a chance to earn some cash. So, let’s take a closer look at Lovoo to see what other exciting features it offers. Differently from most other dating apps and sites, Lovoo does not have any gap in gender ratio — the site has a more or less equal amount of male/female users. Most of them are 18-34 years old and are incredibly active on the platform. As already mentioned, this is an international site — i.e., approximately 6.5 million users come from the US, while the remaining 63+ million are scattered around the globe. Most of them, however, are located in Europe — around 30 million active members come from the EU. There is also a noticeable difference in EU and US user behaviour — while Europeans use the site as a dating platform, most people in the States see it as a spot to meet like-minded individuals for friendship and casual online communication. 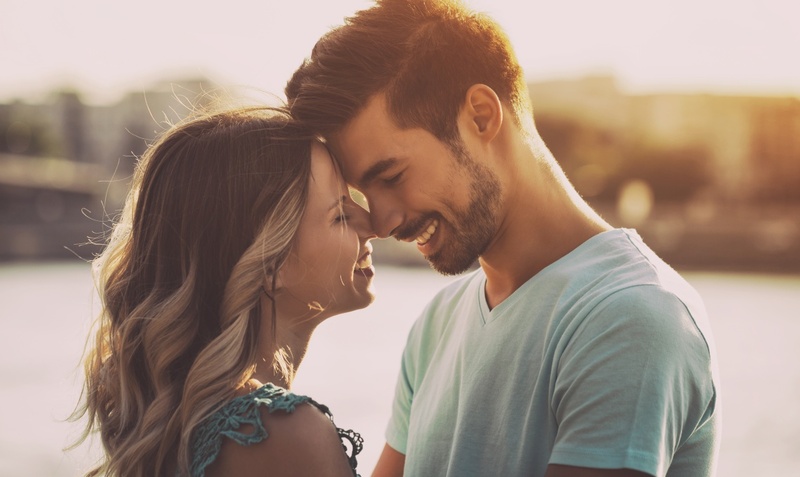 Another important difference that makes Lovoo stand out from the rest of the dating sites is that most users have free accounts on this platform. Unlike most other dating sites out there, Lovoo does make it possible for people worldwide to enjoy free communication. Registering with the site is quick and effortless. The first option is to simply sign up with your Facebook account. If you prefer manual registration, this will not take long either. Fill in the fields with your name, city, birthdate, and gender. After that, you’re redirected to a new screen, where you input your valid email address and a password you plan to use with the service. Then goes a captcha to prove you’re a human. Note that if your IP address does not match your specified location (if you’re using VPN or proxy), Lovoo will send you an additional verification code via SMS. You will not be able to create a profile unless you go through this additional security measure — not even if you come back in a day or two. If however, your IP and your specified location match, Lovoo account can be activated via email — no SMS required. Also, note that uploading a photo is must to use Lovoo. As already mentioned, Lovoo does allow users to interact with each other even if they have free accounts. The communications means are still a tad limited, in our opinion, but in practice, most active members suffice with those (we’ll explain how below). First, browsing through the user database and searching for other members is free — even though, we must admit, Lovoo offers some very basic search filters. They include location, gender, and age; users cannot specify any special search parameters, like appearance, interests, etc. Then, there is a “Match” game — a roulette-like screen, where members can see random accounts and either like them (with a heart icon) or dismiss them (with an X). Liking a profile is free of charge, but only paid users can see who’s already liked them. Also, free members get one “Icebreaker” a day — this is an opportunity to send a daily message. So, should you want to communicate with another free user, you’ll have to suffice with just one daily message — so, make sure it counts. There is also a chat room, reserved for paying members. Finally, Lovoo has an option of blocking offensive users and reporting them to site admins — which also comes handy on free dating platforms. Lovoo profiles have very little info about the user, and, even though they are available for free members to view, there is a catch: one must complete ones’ own profile to have access to other accounts. Plus, a new user will need to upload at least three photos of oneself to view other people’s photos. On the whole, the policy seems square: to see what other people feature on their profiles, one will need to pay the same courtesy and have some pics featured. But, as we’ve already mentioned, even complete user profiles are not very informative — just the basics you’ve specified during the registration. It’s also possible to have your profile verified — in that case, you’ll be awarded a verification batch that boosts your profile visibility in the search results. Lovoo desktop design is simple and exquisite at the same time. Even though the platform offers quite a lot of interactive features, it is incredibly easy to navigate. You can find all the necessary icons in the header menu, which makes site navigation not only accessible but also highly intuitive. The main theme colors are gray and purple, and most boxes are of neat rectangular shape. This gives Lovoo a slick and modern look, which is wise given its main demographics of young professionals. Apart from the desktop version, Lovoo has a mobile app that runs both on Android and iOS devices. The app has the same essential functions as the desktop and a couple of improvements on top of that. The first one is “Radar,” showing you profiles in your immediate vicinity. The second one is “Lovoo Live Video,” allowing users to initiate live streams whenever they are. As we’ve already mentioned, this one offers members a chance to earn some cash. Video views can bring a user diamonds, and these diamonds can be transferred into virtual credits (to spend on communication with other users) or even cash. Still, there is a catch — to earn diamonds, users should not just view your stream, but send you gifts. These gifts are later exchanged into diamonds. As for the app design, it sticks to the same purple and gray theme as the website. The major navigation difference is that site version has icons in the header menu, while app icons are in the footer menu. And, of course, Radar and Live Stream make Lovoo app version a way more interactive platform to use, so many members advocate for the app rather than the website. Plus, earning diamonds and exchanging them into virtual credits offers users more communication options, i.e., one can purchase more Icebreakers with virtual credits and send more than just one message a day. Even though Lovoo does offer a paid membership, most users suffice with a free one — mostly because of the interactive Live Video Stream feature we discussed above. The site actually rewards its most active users with free communication means, which makes the platform not only user – (and pocket) friendly, but also incredibly fun. Free users can create and edit profiles, host and watch live videos (that usually transfer to more communications means), send smiles, and send one free message a day — even if they do not earn any diamonds with live streams. This is more than enough to engage in communication with other Lovoo members, free or paid ones. Besides, Lovoo pricing policy is below average in the dating world — in fact, plenty for sites set higher fees for fewer features. A monthly subscription costs just $12.99, and if you subscribe for three or six months, that price drops even lower. Three months of using the service come at $24.99 ($8.33/month), and six months of Lovoo paid membership is $69.96 (just $5.83/month). More than that, Lovoo offers its members a chance to pay only for the services they’re using. By purchasing sets of virtual credits, people get a chance to spend those on any features they like, instead of paying on a per monthly basis. These coins can be spent on messages or gifts to members streaming their videos. And — once again — you can get gifts (diamonds) for hosting video streams, turn them into coins, and those coins — on communication. Virtual credits are sold in batches of 300, 2.500, and 8.000 for $3.99, $17, and $33.60 respectively. Available payment options include PayPal and mobile phone balance. Strangely enough, Lovoo does not accept credit cards, which may be one of the reasons why most people have to suffice with free accounts. 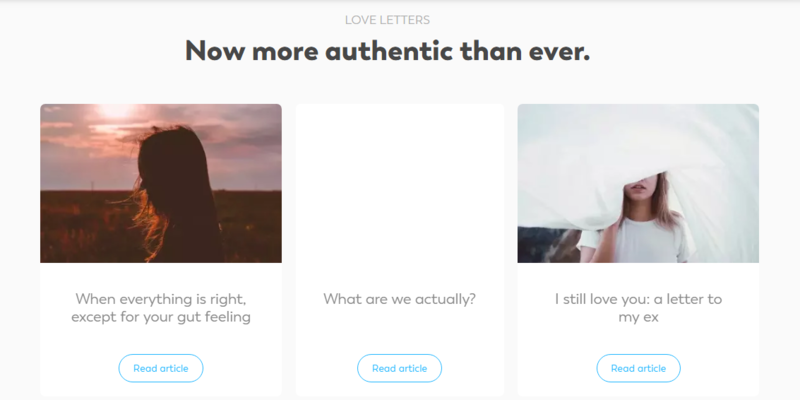 Lovoo is a fully legitimate dating platform that operates according to international law. This, first of all, implies that user data is never shared with other parties or republished with user permission. You can find company policies on their Terms and Conditions page, but the most essential info goes down to protecting your privacy and not disclosing your contact details. Note, however, that Lovoo does not run any background checks, so interacting with other users and sharing your private info with them remains your responsibility. Lovoo admins may take a closer look at profiles that have been reported suspicious, but they do not ask all users for obligatory ID verification. So, keep a clear head and remember that people you’re talking to online may not be who they claim to be — pretty much like on any other dating platform. Both app and desktop versions are sleek and easy to navigate. Lovoo welcomes all people, regardless of their age, even though most users are young adults. The site has an equal amount of men and women, which is an incredibly rare thing for most dating platforms out there. And, it once again proves that Lovoo has something fun and valuable to offer to any user. Finally, Lovoo subscription (should you choose to buy one) is very affordable. And, there is always a way to pay for each perk you’re using without getting a monthly subscription, which offers Lovoo users payment flexibility they need. The only drawback so far is that Lovoo does not accept credit cards, only PayPal and mobile phone balance. Also, Lovoo profiles aren’t very detailed, and the search algorithms are very basic. But, given the number of attractive features this platform offers, most users seem to forget about that, and we suggest you do the same and find out all you want to know about a particular person in a private conversation.